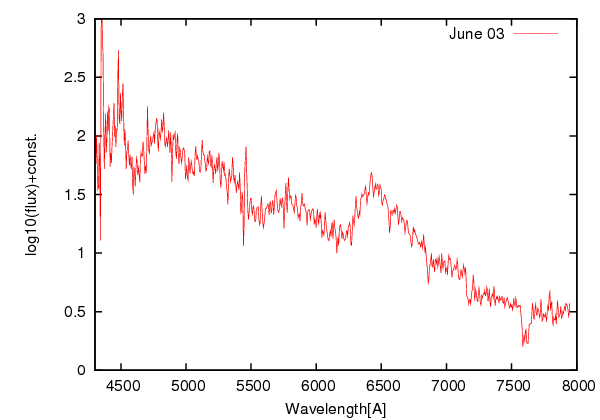 We performed low-dispersion (R about 600) optical spectroscopic observations of PSN J13303600+4706330 (R.A.=13h30m05s.14, Decl.=+47°10'11".0) using 1.3m Araki-telescope (+LOSA/F2) on June 03.6. 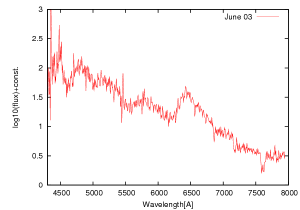 The spectrum shows H-alpha and H-beta with a velocity of 17,000 km/s. FeII and HeI lines are also visible at ~500nm and ~550nm, resectively.